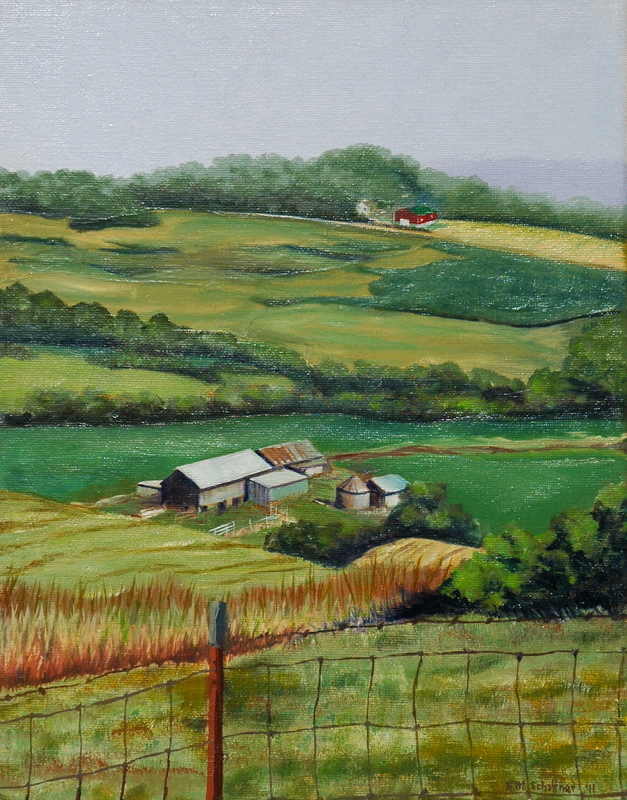 This oil painting captures the stunning landscapes of Northeast Iowa where I grew up. Big skies, views for miles in all directions with farms dotting the hills and patchworks of fields. You too can enjoy these views! This painting sells unframed with a painted edge. You can easily pop it into a clip-on frame or invest in a more professional framing job. Because it sells unframed, it's cost is more affordable to you.